FREE delivery to United Kingdom in 5 - 10 working days. The Original 1227™ floor lamp blends the classic Anglepoise® shade silhouette and constant spring articulation with an attractive, braided, coloured cable. 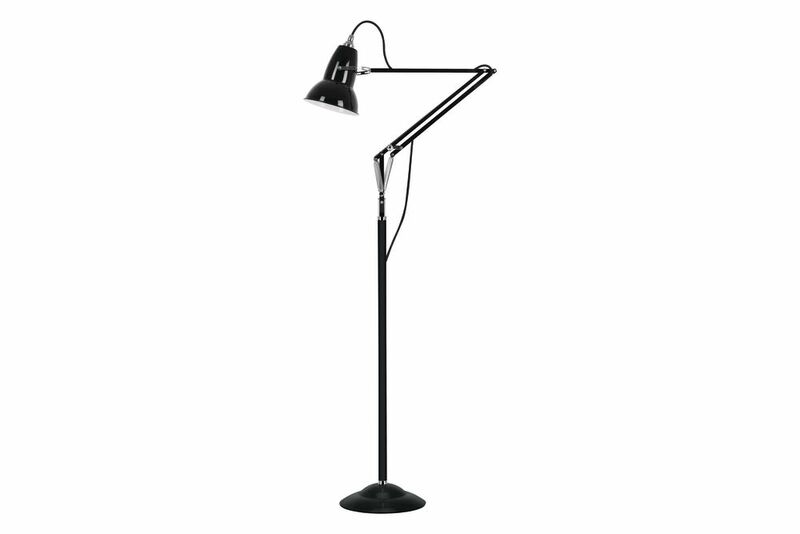 Consider if you are looking for a highly adjustable reading lamp and stylish, contemporary accessory. Our Original 1227™ Collection began with a desk lamp. Today, this highly adaptable and engagingly anthropomorphic light, is part of an exemplary collection designed for different locations, from table and wall to ceiling and floor. Each piece is available in our classic colours, and comes with toning fabric-covered cord and traditional chrome fittings. Our Original 1227™ Collection has always boasted unrivalled functionality; now it boasts unrivalled choice too. In 1932 automotive engineer George Carwardine develops a formula for a new type of spring. He discovers that pivoting arms supported by a sequence of these springs can be repositioned with the lightest touch yet will remain perfectly in place once released. Carwardine has just created the blueprint for an Anglepoise®.